India have arrived with as worthy challengers to the hosts in every format. 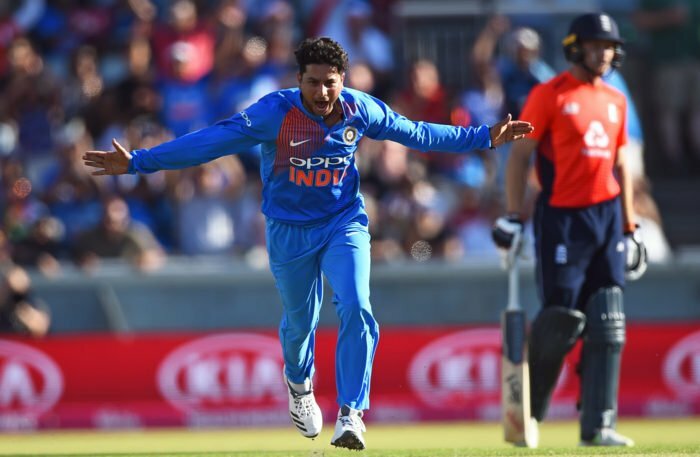 In glorious sunshine at Old Trafford in a hot summer in England, Kuldeep Yadav shut down the hitherto marauding England limited-overs batting with tantalisingly slow spin and wrong’uns to register his first five-for in the format, following which KL Rahul broke the back of an easy chase with his second T20I hundred. In the process, both men presented a case for longer stays in England: Kuldeep in Tests, and Rahul in ODIs. England have been breaking records with the bat in the short formats, but India and their varied skills were going to be the real test in the limited-overs leg of the international summer. 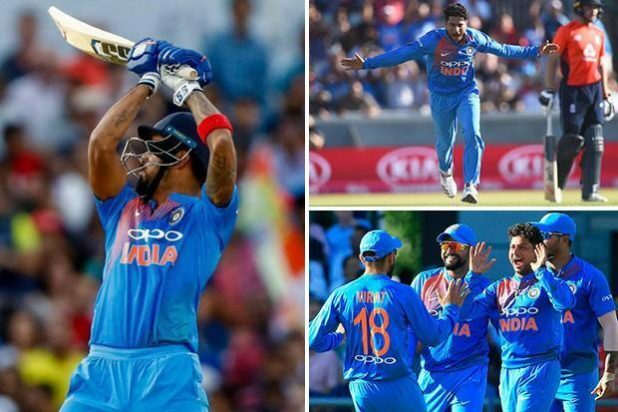 In front of loud Indian support, Kuldeep turned the game on its head with the wickets of Eoin Morgan, Jonny Bairstow and Joe Root in the 14th over; England had looked set for a total in excess of 180 until then. He bookended it with the scalps of the struggling Alex Hales and the excellent Jos Buttler, who scored his seventh fifty-plus score in his last eight innings. In the first five overs, England made a bold statement by going after two of India’s best bowlers in limited-overs formats. On a flat deck, Bhuvneshwar Kumar went for 19 in his first two, and Yuzvendra Chahal, introduced in the fourth over because he has dominated the match-up against Jason Roy, was taken for 16 in his first. At 44 for 0, one spinner taken for plenty, India seemed to be in a fight. Jasprit Bumrah’s injury was a big blow to India, but quietly over the Indian summer Umesh Yadav has emerged as a good limited-overs bowling option. In the fifth over he could have had Buttler on the top edge but removed Roy with a bottom edge next ball. Hales came in, and struggled to get going, which meant Buttler had to play the big shots. Still England looked threatening at 95 for 1 in 11 overs, but worryingly for them Hales had scored only 8 off 15 in a 45-run partnership. This was the moment, at least for Hales. He needed to break free. India sensed it. They went to their strike bowler’s second over. Kuldeep gave Hales nothing first two balls. With pressure extremely high. Kuldeep chose to tease Hales and tossed up a loopy straight delivery. In premeditated fashion, Hales gave up his stumps, swept, missed it completely, and was bowled. In his next over, Kuldeep delivered the coup de grace. It began with Morgan slog-sweeping against the turn but ended embarrassingly with England’s two Test batsmen getting stumped when playing the forward-defensive. It wasn’t just that they had failed to pick the wrong’un – which has sort of become the norm in T20 cricket these days – they actually judged the length so badly that they had to drag their back foot in panic to reach the pitch of the ball. From 50 for 0 in the fifth over, England had fallen to 107 for 5 in the 14th. With so many wickets falling, and with runs easier to come off the quicks, Buttler could have chosen to play out Kuldeep’s last over, the 18th, but he tried to hit two sixes in the over. He was dropped the first time, but taken when he did an encore. Yet again he had failed to pick a wrong’un. At least he got out in time for the kick-off in England’s World Cup knockout match in Russia. 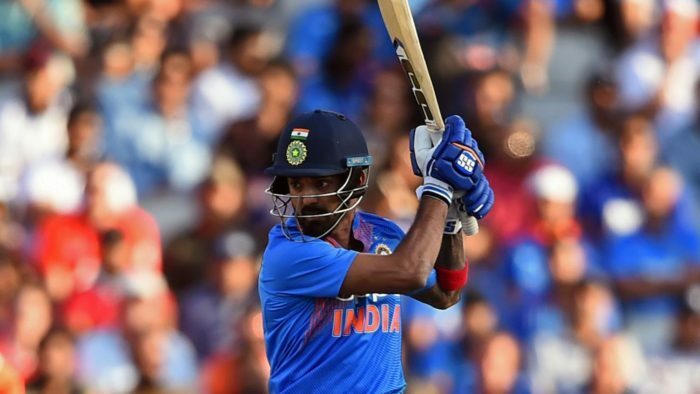 England did make the ideal start to their defence with the wicket of Shikhar Dhawan in the first over but when Rahul, looking in ominous touch, sliced one to backward point, Roy couldn’t react in time and spilled the offering. India could have been reduced to 26 for 2 in the third over had Roy hung on. Instead Rahul went on a rampage. Liam Plunkett was clipped and cut for successive fours in the fourth over. Moeen Ali was welcomed with a reverse-swept four and a six over long-on. Adil Rashid was dealt with using an open face, and Plunkett’s comeback ruined with a sequence of six, four, four, six. At that point, India’s required rate was little over four, and Rahul – 85 off 37 – was in line for a quick century. England managed to slow things down but could neither deny him a century nor India a comfortable win in front of loud Indian support.